Valve's mystery E3 surprise may not be Half-Life 2: Episode 3, but one unnamed source is claiming that it's the next iteration of the aging Source engine - and perhaps Half-Life 3. 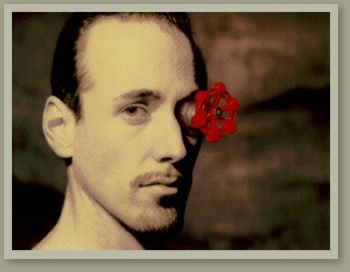 In our industry, the moments surrounding E3 is always a time of year for surprises and announcements, and this year one of the biggest mysteries is, "Just what the hell is going on over at Valve?" While the PC developer had initially been planning to show Portal 2 off at a special event next week, it suddenly and abruptly canceled the event. Rumors and (faked) images made the rounds, leading many to speculate that it would be the long-awaited announcement of Half-Life 2: Episode 3, but Valve big man Gabe Newell put the kibosh on that idea. Now, a source who "wished to remain anonymous" has told VG247 that the announcement will be the reveal of the successor to Valve's Source Engine. If that doesn't pique your interest, how about this: Given that the major iterations of Source have thus far been headlined by the Half-Life games (HL1 on GoldSource, HL2 on Source), the source (that is, the other kind of sources) says we could also see the announcement and reveal of a full-fledged Half-Life 3. Don't get too excited just yet, though. This is still an anonymous source and their information could be wrong - or could be little more than guesses. Dampening speculation is the fact that Valve's Newell will not be attending E3 - and if this were Half-Life 3, you'd think he'd probably want to be showing up, yeah? Either way, we do know one thing for certain. You don't just cancel a big event for a big game right before E3 unless A.) you have something huge to replace it with, or B.) things are actually in one hell of a mess under the surface. I know which of those two we'd all prefer.